With just a whiff of op-amp fuzz left after mutilating this muff, you’re left with something that’s dreamy in bass and gain range. What’s needed for that rotten-to-the-core sound is a thick dose of bass, gain for days, and a perfectly scooped midrange that recalls the 1990s on speed dial. 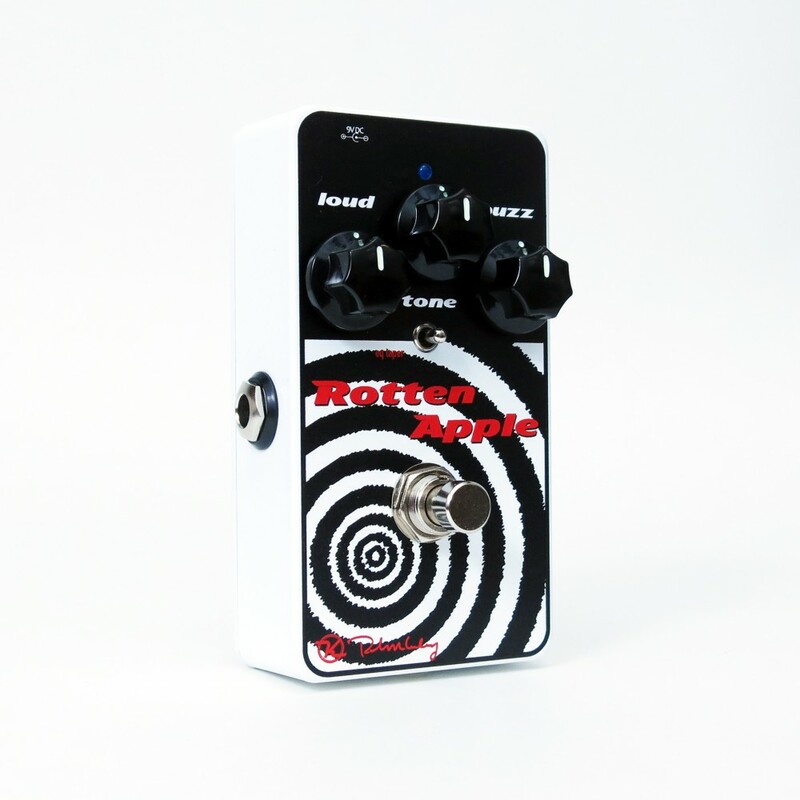 The Gain of the Rotten Apple has an amazing range on tap, AND it is sensitive to your guitar and strumming. So even though it pumps and smashes through your speaker cab, you can roll your guitar back to float like a butterfly. The Tone Control gives you everything from submerged stoner-rock sludge to highs that claw through your speakers. 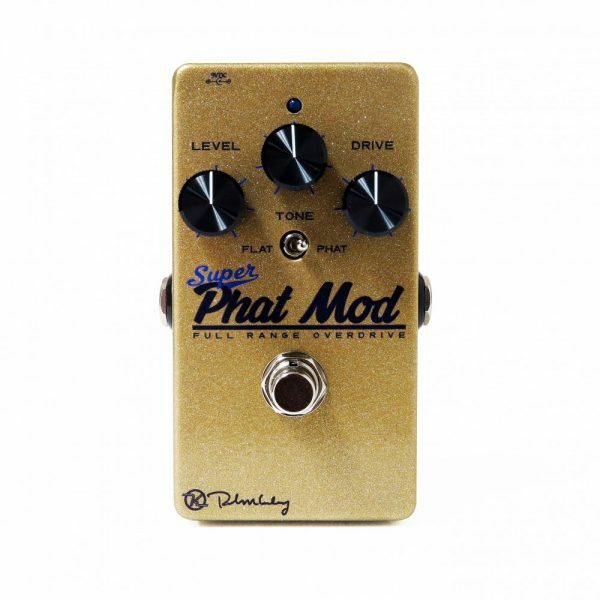 Did you know we did extensive testing of this pedal on my Eric Clapton Strat with Lace Sensors? Yeah, we knew we wanted to nail a very specific tone. Dialed it! Did you know we took all we learned from our Dark Side fuzz and made this one even less noisy while increasing the gain dramatically? We did. But aren’t V4s supposed to sound harsh?!? Well, yeah, but we rewrote every page of the book. The story doesn’t end with rebuilding a circuit, it ends with the filtering. Why do certain sythns sound so amazing even though they are just generators? The filtering. We nailed it. Listen to the demo of the Rotten Apple, thick and dreamy. Fits perfectly in your 90s mix. Cuddle your guitar and this stompbox, you little cherub, and rock out. 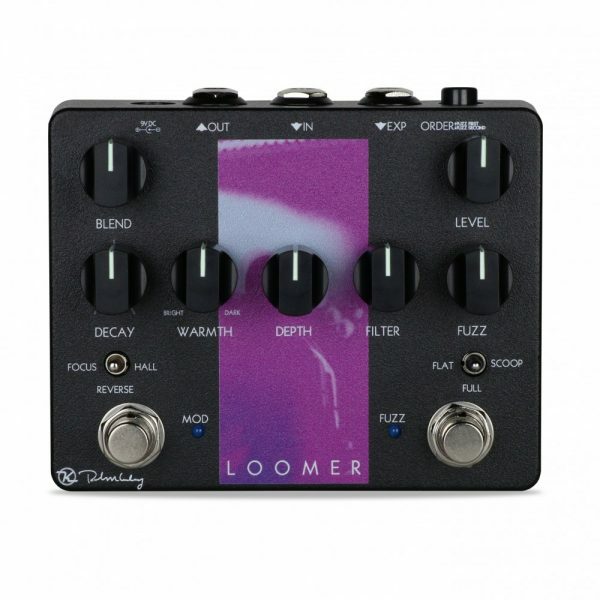 Is This Just an Artist Pedal? Not at All. 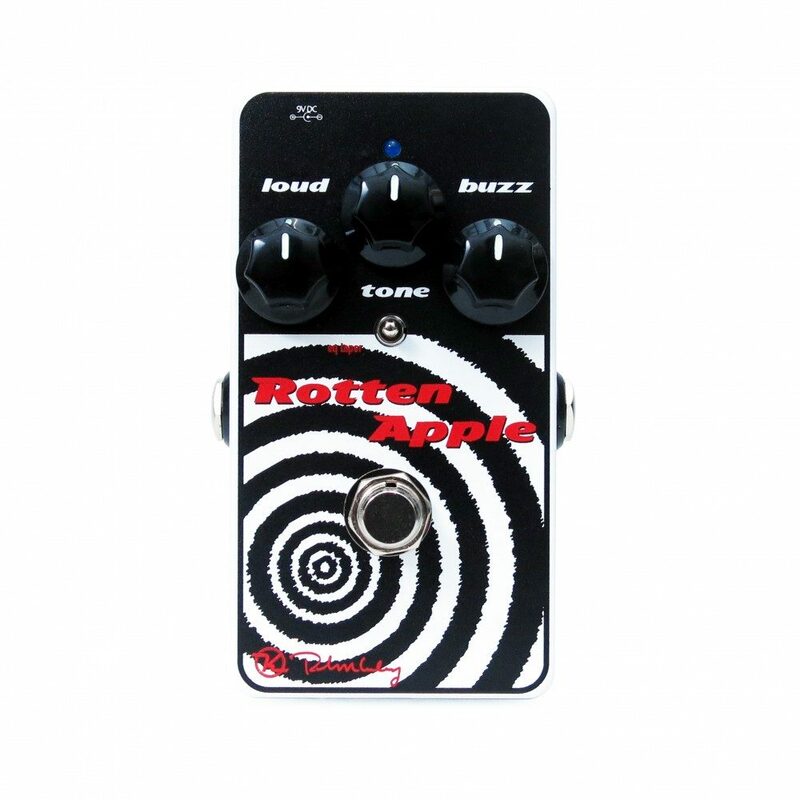 The Rotten Apple Is Our Love of Fuzz. Listen for it! Deep and thick bass even with a small combo amp! The Fat Head Mic softens things up a bit, but don’t worry, the sound can be blistering. Scooped just right with the ability to find a sound that fits in your band’s mix. Here’s some Muff History that I really dig.